Cesc Fabregas has revealed that he will forever be grateful to Arsenal, no matter what people think or say. Speaking ahead of Arsenal’s crucial Premier League clash against Fabregas’ current team Chelsea, the Spaniard has revealed how he will forever be grateful to Arsene Wenger for believing in him and developing him as a footballer. A 16-year-old Cesc Fabregas left Barcelona to sign for Arsenal’s youth academy back in 2003, and soon became the Gunners’ youngest ever first team player, aged 16 years and 177 days. He rapidly became a regular first team player and was handed the club captaincy at the age of 21. But after spending 8 years at the London club, the midfielder eventually left for his boyhood club Barcelona, and then went on to make a return to England by joining Chelsea. 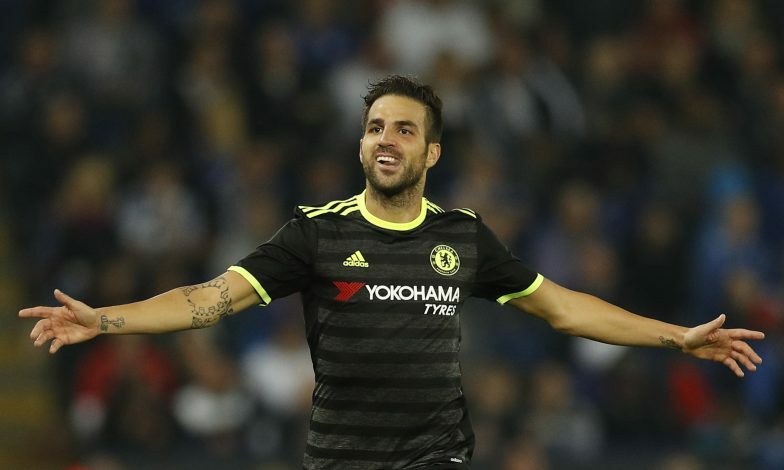 Fabregas has since been hated and criticised by Arsenal fans for joining a rival club, but despite their intense intolerance, the Spanish international has claimed that he still remains thankful to the club that made him a world-class player that he is today. Speaking in an interview with Natacha Tannous, the 29-year-old stated: “I don’t really care what people think about me any more. It’s just about what I feel towards them. “Arsenal will always be the team that believed in me the most. I was a young kid, 16 years old, playing for Barcelona. Arsene Wenger, especially, and Arsenal Football Club, gave me everything. But Fabregas will no doubt keep his appreciation towards his former club aside on Saturday, as the Premier League table-toppers host Arsenal in a crunch tie. A win for the Blues would extend their lead over the Gunners by 12 points, and in the process, virtually knock them out of the title race.